Flexible, break & crack resistant. Our collection of colored disposable party plastic plates made from high quality food-grade plastic is light weight, durable and flexible. We have 2 different sizes: the 7" colorful plastic plates are for desserts and the 9" plastic plates are for dinner and lunch. 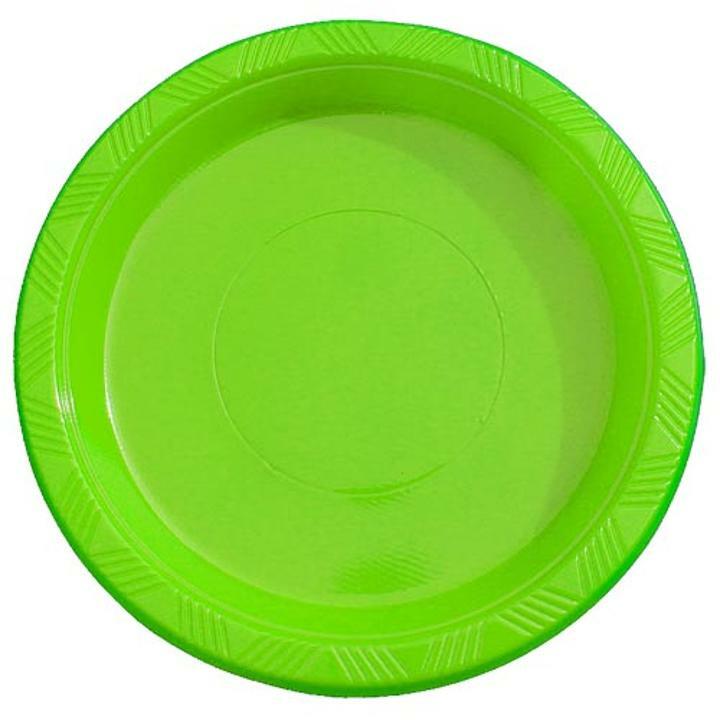 These wholesale plastic plates for party are present in a wide range of solid vibrant colors available in packs of 10 plastic party plates. For a better colorful co-ordinated look, choose from our wide selection of solid color plastic table covers, disposable cups and other tableware, along with these plastic disposable plates.||These are cheap plastic plates since one pack of 10 bulk plastic plates cost just $0.89. You get a discount of $0.90 for one pack of these disposable plastic plates for parties. Hence, there is no better place than 'Factory Direct Party' to buy these discount plastic plates wholesale in bulk. Each of these colored plastic plates in bulk weigh just 0.25 lbs. Hence, these plastic party plates won't be too heavy. Therefore, they would be easy to carry and clean.